A camp for Dutch political prisoners was established at Vught, near the city in southern Holland near the city of Hertogenbosch, capital of the Noord-Brabant province. The camp was taken over by the WVHA in late 1942 and was re-designated Konzentrationlager Herzogenbusch, which now housed political prisoners and Jews, held in transit awaiting the deportations to Poland. 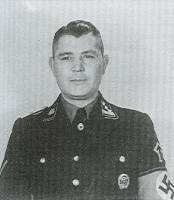 Karl Chmielewski who had served at several concentration camps such as Columbia Haus, Sachenhausen, Mauthausen / Gusen was appointed camp commandant in 1943 and on his appointment brought with 80 Kapos with him. 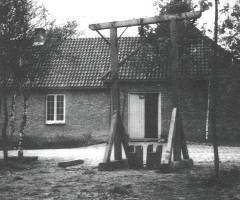 Vught however, was not as brutal as these concentration camps, there were strict regulations regarding the treatment of inmates, experience in Westerbork had shown that deportations proceeded more smoothly if cruelty was avoided. The camp measured 500 by 200 meters and consisted of thirty –six living and twenty-three working barracks. A double barbed-wire fence with a ditch between them surrounded the camp. Watchtowers were placed every 50 meters around the perimeter, situated outside the camp boundaries were the SS living quarters, an execution area and an industrial plant owned by the electrical giant Philips. 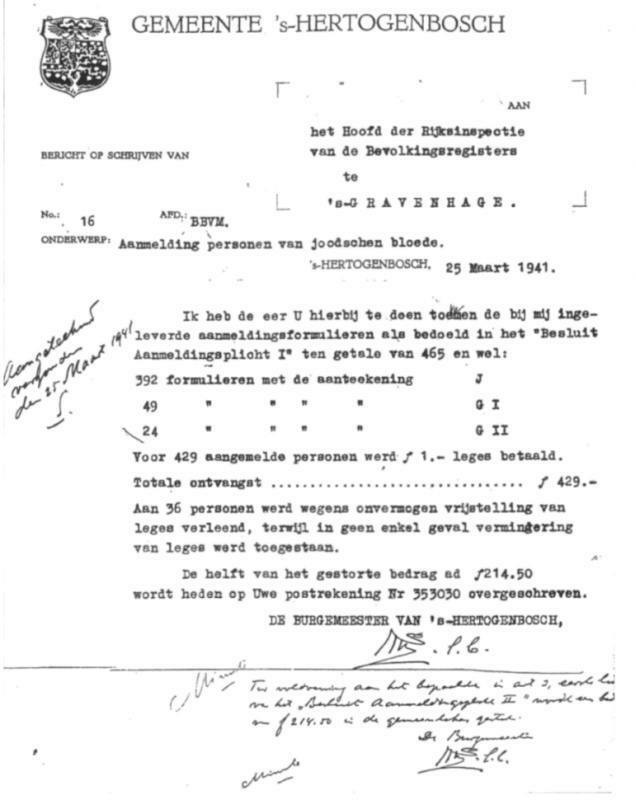 The first Jewish prisoners arrived in Vught during January 1943 and by May 1943 their numbers had increased to 8,684, conditions in the camp were very poor although some improvement occurred following a visit by David Cohen a member of the Jewish Council (Joodsche Raad). 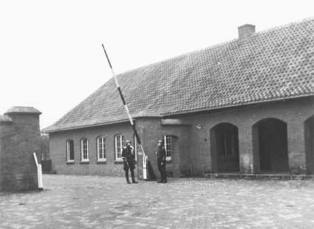 “I stayed for a long time in Vught, till the last Jewish prisoners. I stay in Vught, well you see Maurits the boy who tried to save us must leave me, which was terrible, my parents after four weeks, but he after nine months. We stayed together and he took care of me like my father should have done or my husband – I had not a husband at the time. It was touching the way he tried to take care of his sister, he worked in the night, he was very left handed, he tried to sew things for other prisoners, used to get a little bit more food, dreadful food, for his sister. And after nine months he had to go and I should have gone with him but it was not allowed because I had scarlet fever. It was one of the dirty things of the Germans, when you were sick you couldn’t go to the gas chambers. No first you had to recover. They gave you the illusion nothing happened because they didn’t send you on a transport when you are sick. So I had to …………………. My brother he came to say goodbye and I was looking at him and thinking for heavens sake he can’t go, not in these poor clothes. He was small you see and I gave him one of my jackets and I was thinking it is closing the other way round, but who cares! And I gave him a pair of my boots then I looked at him when he walked away from the barrack – to his back and on his back he looked like me. And I was sure I would never see him again. I was sure." From April 1943, a number of male prisoners were sent to work outside the camp, although most inmates were employed within the camp manufacturing clothing and furs. The most sought after employment was in the Philips Company where 1,200 prisoners were employed. The Philips Company insisted that its Jewish workers should enjoy decent conditions, including a cooked meal every day and to be spared from deportation. Dr Arthur Lehmann was appointed head of the Jewish administration in the camp during October 1943 he did his best to care for the inmates and was very popular with them. For a time religious and cultural activities had been permitted and a school had functioned, but this all changed for the worse with the appointment of Adam Grunewald in October 1943, who like his predecessor had served at a number of concentration camps including Lichtenburg, Dachau, Buchenwald and Sachenhausen. 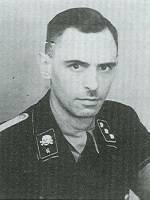 Grunewald was a brutal commandant and he was removed for excessive ill-treatment of the prisoners to be replaced by Hans Huettig in January 1944. Huettig too had followed a similar path with concentration camp service in Lichtenburg, Sachenhausen, Buchenwald, Flossenberg, Natzweiler. In accordance with the terms of the proclamation, all children up to the age of three were to be accompanied by their mothers and those aged between three and sixteen by one of their parents. The “special children’s camp” was Sobibor death camp in Poland. The first train, containing 1,750 Jewish people many of them unaccompanied sick children arrived at another transit camp for Jews in Holland - Westerbork on 7 June 1943. The second transport arrived a day later – 1,300 tired, filthy people were transferred amid much snarling, shouting and beatings from the freight cars that had taken them from Vught, to another set of dirty freight cars that would transport them to Sobibor death camp. 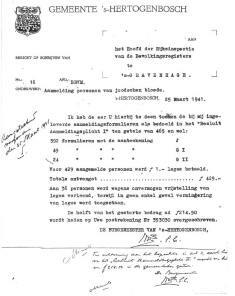 With the exception of two transports which went directly from Vught to Auschwitz, all transports from Vught were routed via Westerbork. The first of these transports to Westerbork left at the end of January 1943, shortly after the transit camp at Vught had been established. The camp’s population peaked in May 1943 but this steadily declined until 3 June 1944, when the camp was liquidated. 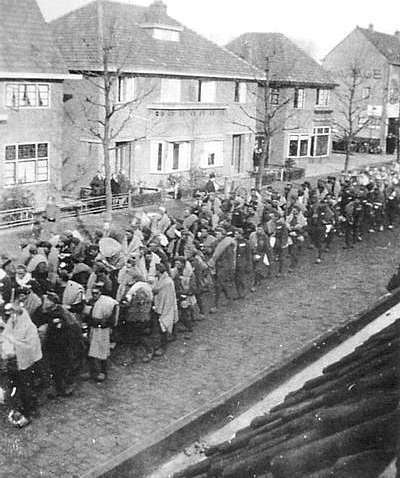 The last group to be transported from Vught on 3 June 1944 was made up of 517 Philips’ workers, the company having failed to save them, but even in Auschwitz this group received preferential treatment, being employed by Telefunken, under an agreement reached between Telefunken and Philips. Nevertheless, most of the men in this group perished, only 160 survived, two thirds were women and nine were children. Today the former camp is part of the army barracks of the Dutch Royal Engineers. Encyclopedia of the Holocaust, published by Macmillan Publishing Company, New York 1990. The World At War – Thames Television. The Camp Men by French L MacLean, published by Schiffer Military History Atglen PA 1999. Copyright: Mats Olson – Heart 2007.